We all have emergencies from time to time. These may be small emergencies like having a pipe break in your house or having an unexpected bill or they may be big emergencies like a flood or an earthquake. Either way, we need to be prepared. We can’t prepare for every emergency out there but there are some basic supplies that everyone should have on hand. You can’t depend on your city or neighbors to help you get through a true emergency. 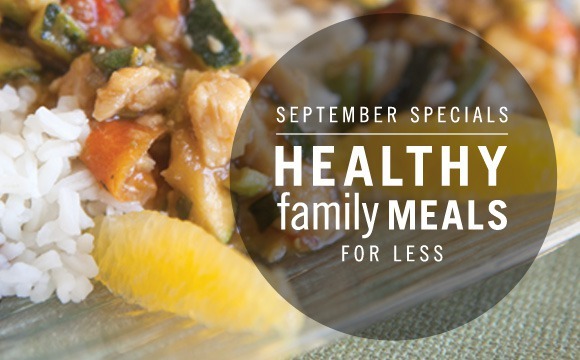 It’s up to each individual family to do their part to be prepared. If you aren’t sure where to start in your emergency preparedness plans, this is it. Make sure you have these 5 things on hand and you’ll be well on your way to being more prepared. Are you starting from scratch in your emergency preparedness plans? The best place to start is by creating a 72 hour kit for everyone in your family. 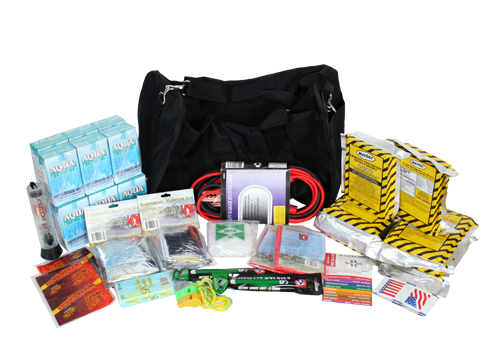 A 72 hour kit contains everything you need to survive for 3 days. This includes water, food, materials for a shelter, medications, clothing, and anything else that you might need. In a true emergency, it might take emergency responders up to 3 days to get to you with aid so it’s imperative that you have the ability to take care of your own needs and the needs of your family until then. Start by creating a basic 72 hour kit then work on bulking it out as you can. Thrive Life sells a fantastic 72 hour kit if you want a simple option to start with. You can’t survive for more than a few days without water so it is essential that you have water on hand in case of an emergency. It doesn’t matter if you buy a couple of cases of water bottles or 50 gallon water storage tanks as long as you start somewhere. Start with what you have, even if that means cleaning out your used soda and juice containers and using them to store water. Anything is better than having nothing. You should work up to storing at least 1-2 gallons of water for each person in your family per day. Start with 3 days of water storage and work up to 14. For larger storage quantities, I really like the water bricks because they are still small enough to be manageable but their design allows them to be stacked for easy storage. You should have a small flashlight in your 72 hour kit but it’s important to have a good quality flashlight in your home in case of a power outage. I really like the Maglite brand that you can often find at Costco for really heavy duty stuff. 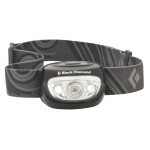 I’d would also recommend keeping a variety of lighting options in your home though such as a hand crank flashlight, an extended burn candle , a lanturn, and a headlamp for situations where you need your hands free. How many of us have all the phone numbers we would need in an emergency memorized? I don’t know about you but I’ve become way too dependent on my cell phone. I’m not even sure I could tell you my own mother’s phone number if I had to. Keep a printed list of emergency phone numbers available in case your cell phone battery dies or your cell phone breaks. Includes the phone numbers of your neighbors, your kids’ school, local businesses you frequent, and extended family members. This could come in handy in minor emergencies too! Information can help you survive during an emergency. You may be used to using the radio in your car, through your computer, or another device but during an emergency those probably won’t work. 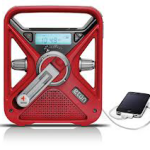 Keep a battery powered (with extra batteries) or hand crank radio in your home so you can stay up to date on the latest information if you are ever in an emergency situation. I love this combination radio (hand crank and solar powered), weather band, and flashlight from eton. Just 1 minute of hand cranking will give you up to 15 minutes of power. This will even charge your cell phones and other USB powered devices. We keep one of these in the house and in each car in case of an emergency. 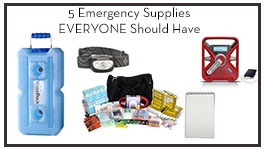 While these things certainly won’t get you through any emergency, they are a great place to start! 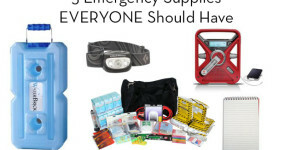 What emergency supplies do you think are essential to store for an emergency?